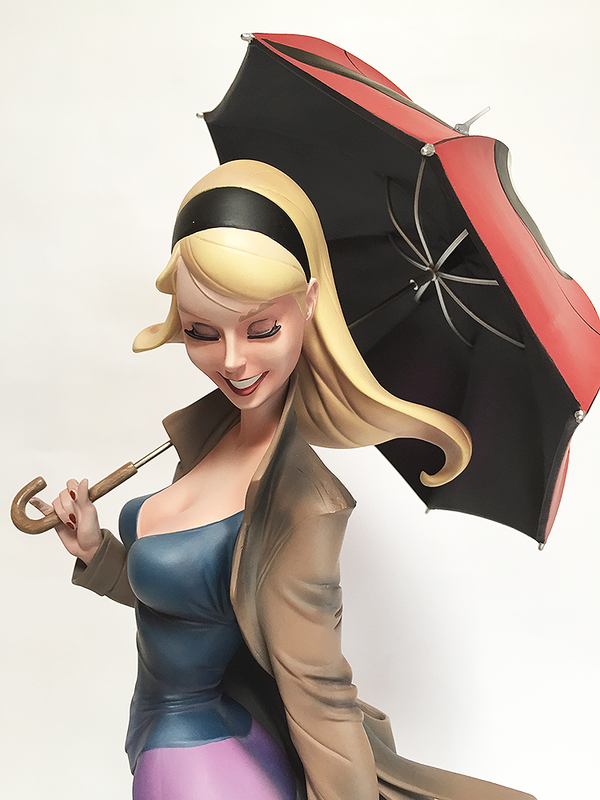 If I had a choice between Mary Jane or Gwen Stacy, I'd for sure pick Gwen and even in the SideShow J. Scott Campbell Spider-Man collection, she does not disappoint. 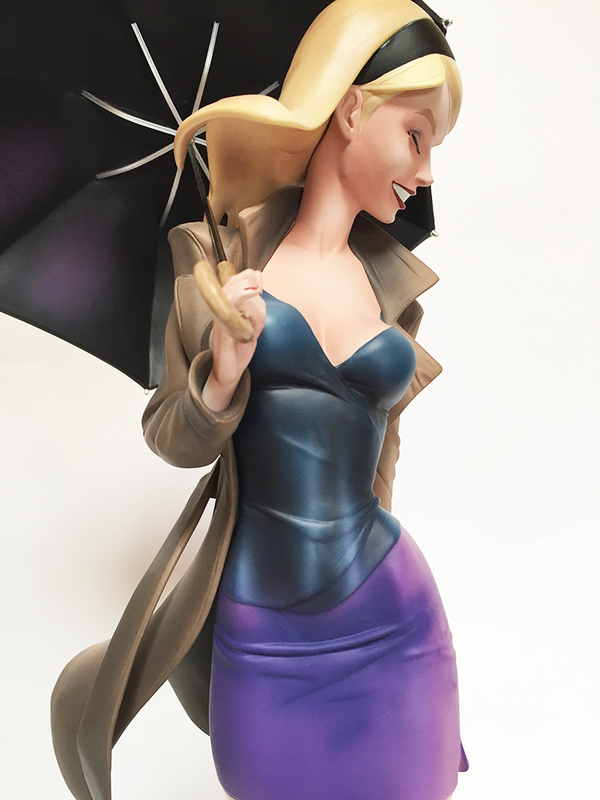 Standing tall at 18", this lovely statuesque is truly a work of art and displays the very definition of beauty. 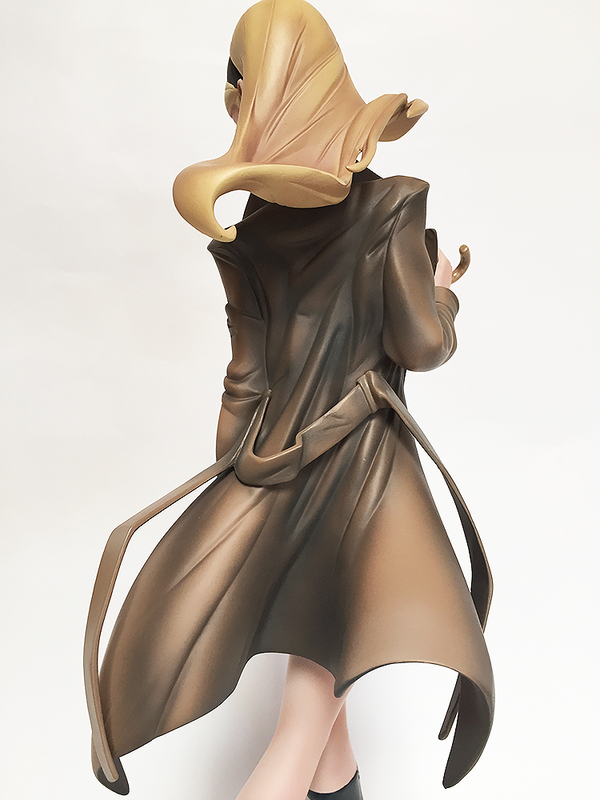 The model-like stance, facial expression, accessories and even the display base all combined tells pretty much her character and fate which is really magnificent. 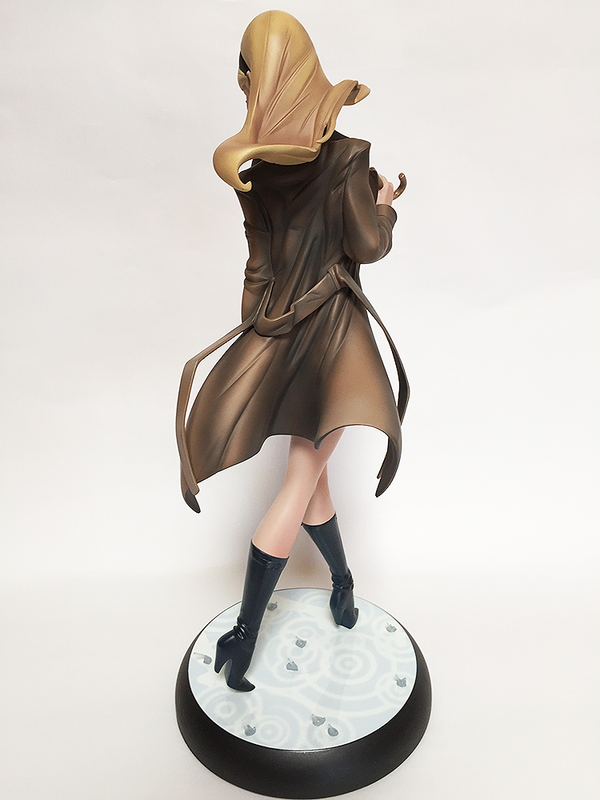 The shading in the coloring have been really thought out from top to bottom and the magical feature is that depending on how you choose to display the statue bring interesting result and really changes the mood of the statue. 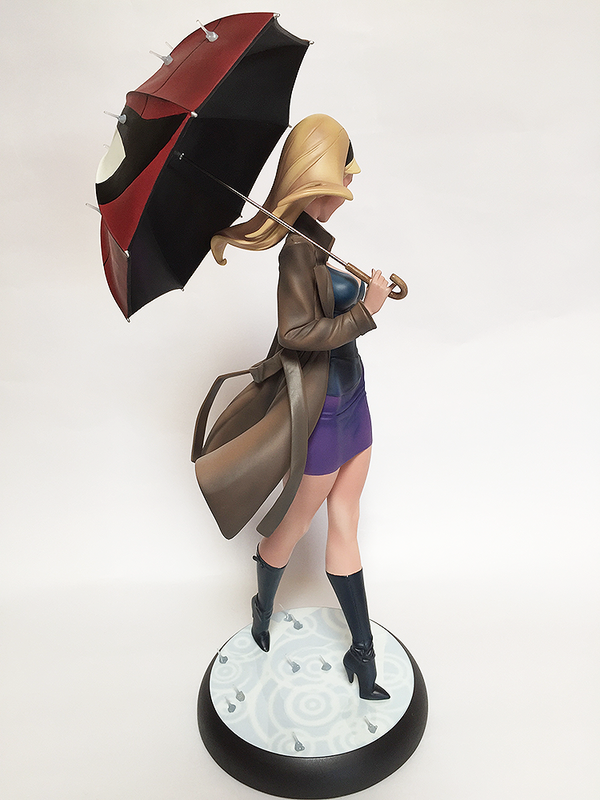 In my experience, displaying the face makes it lot more cheerful despite knowing her fate in storyline while displaying her back with umbrella can dramatically turn it down having lot more impact. Makes you really feel it in the heart. The raindrops are glued on the display stand which is nice touch and the puddle and reflection are printed on. The statue has an night like atmosphere so it would've been nice if the colors on the display stand were little bit darker also. 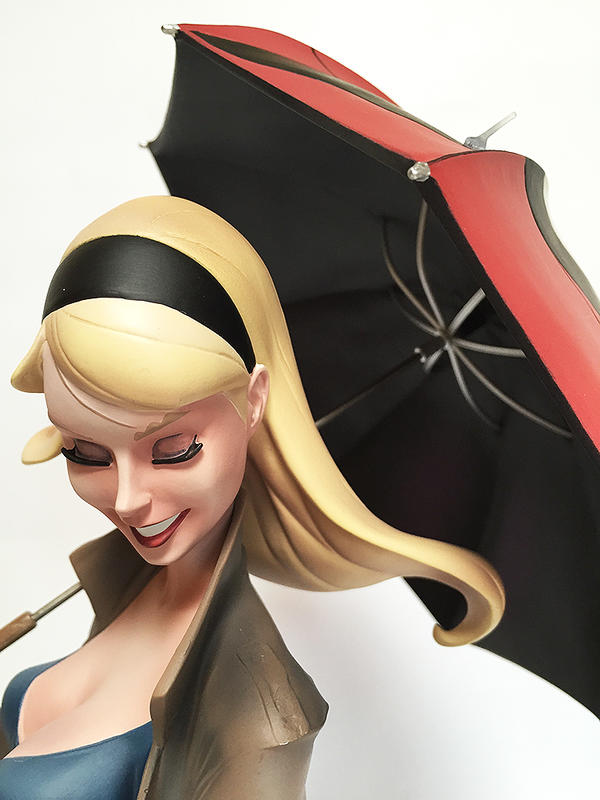 Since they went through trouble of making the raindrops 3d, the color choice printed on seems a little bit weak but very minor and the importance should be focused more on Gwen herself. 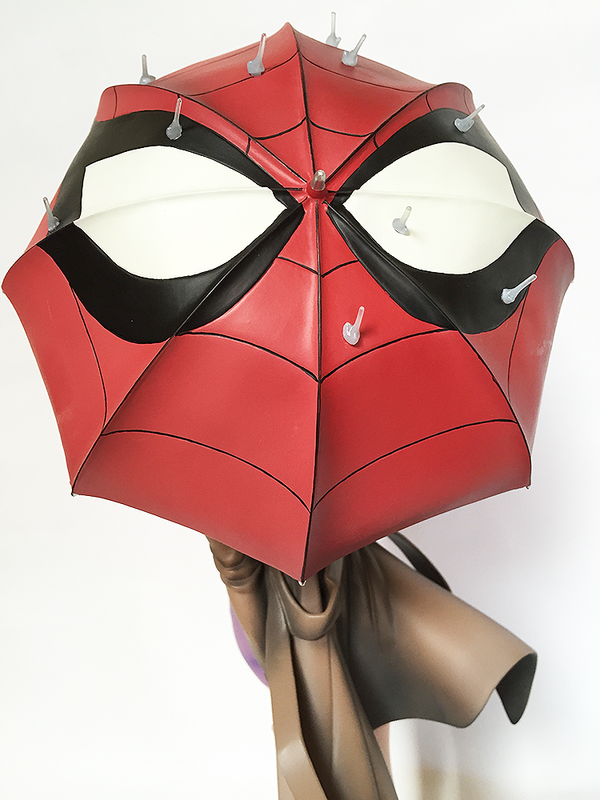 The Spider-Man umbrella is awesome helping define who the character is. Personally, Gwen's outfit including the color of the outfit is enough for me to realize who the character is but I can see how people who are not familiar with the series would have hard time recognizing who the character is or even where it's from. 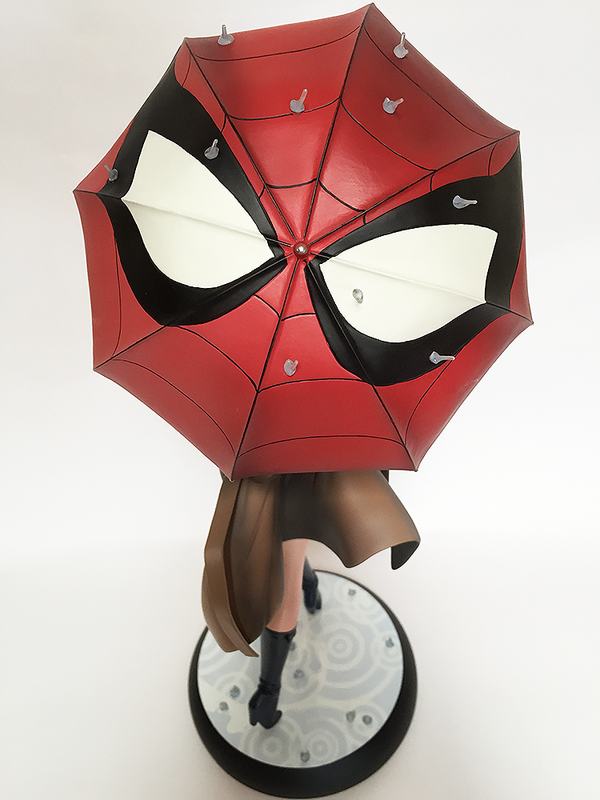 It can pass as any random beautiful lady so the Spider-Man umbrella really helps lol. Detailed from top to bottom, even the handle bar on the umbrella looks very legit. 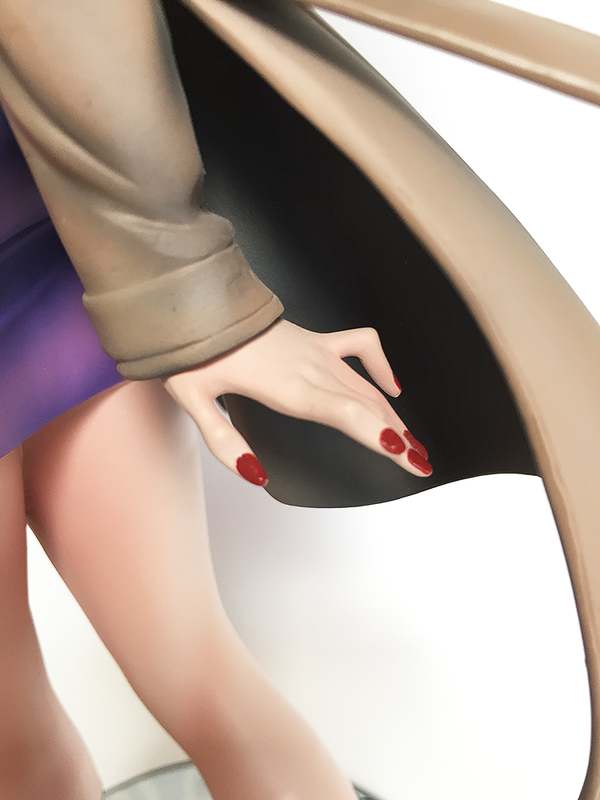 Even the choice of color on finger-nails somehow makes me appreciate this piece and the design team involved. They really didn't miss a thing on this one. 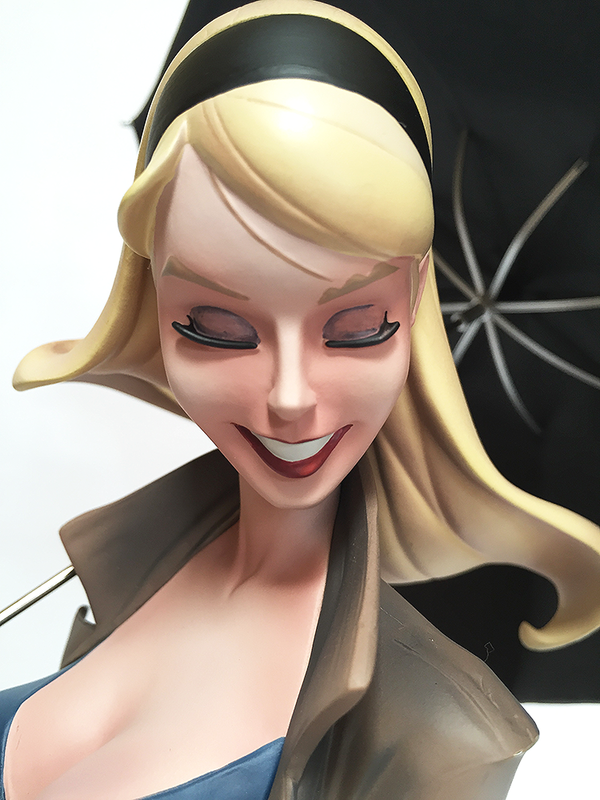 Overall, one of the best in the J. Scott Campbell polystone line and just by itself really tells a lot. 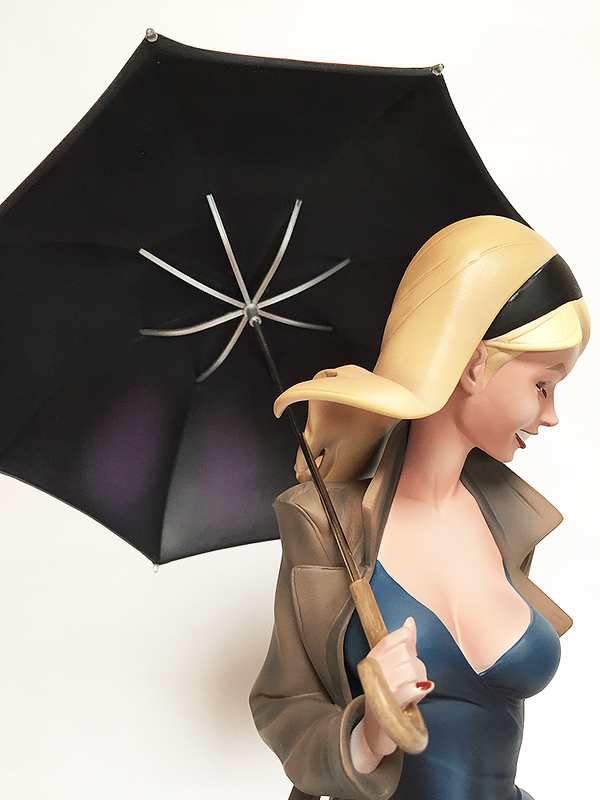 The great features, especially with Gwen Stacy is that despite any possible articulation and accessories, each angle brings out unique moods and story which personally is amazing. Definitely great standing next to Spider-Man statue but it's just as great having it displayed alone also.